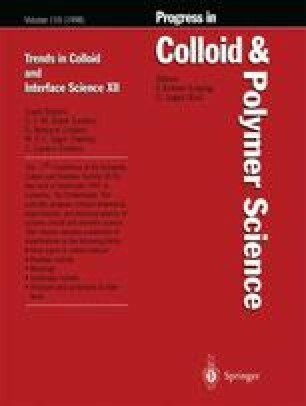 A discussion of the analysis of composite latex particles by small-angle X-ray scattering (SAXS) including contrast variation is given. For monodisperse core-shell particles marked isoscattering points will become visible in which all scattering curves measured as function of contrast cross each other. The relation of this isoscattering point to fine details of the radial structure and to polydispersity is discussed. It will become apparent that the isoscattering point may be used for a detailed analysis of the internal structure of latex particles.